Contrary to popular belief, HDL cholesterol isn’t always good for your heart. A new study published by Harvard researchers describes how some high-density lipoprotein (HDL) cholesterols may contain a small protein, apolipoprotein C-III, which increases the risk of heart disease. A new study by Harvard School of Public Health (HSPH) researchers has found that a subclass of high-density lipoprotein (HDL) cholesterol, the so-called good cholesterol, may not protect against coronary heart disease (CHD) and in fact may be harmful. The study was published in an online issue of the Journal of the American Heart Association. A high level of HDL cholesterol is strongly predictive of a low incidence of coronary heart disease (CHD). But trials of drugs that increase HDL cholesterol have not consistently shown decreases in CHD, leading to the hypothesis that HDL cholesterol may contain both protective and nonprotective components. ApoC-III, a proinflammatory protein, resides on the surface of some lipoproteins — both HDL and low-density lipoproteins, or LDL (bad) cholesterol. The researchers, led by Sacks and Majken Jensen, research associate in the Department of Nutrition at HSPH, examined whether the existence or absence of apoC-III on HDL cholesterol affected the good cholesterol’s heart-protective qualities, and whether its existence could differentiate HDL cholesterol into two subclasses — those which protect against the risk of future heart disease and those which do not. 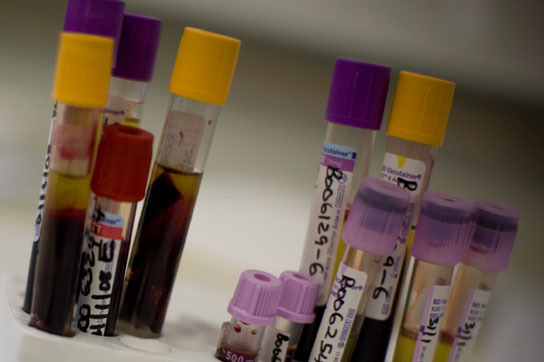 Blood samples collected in 1989 and 1990 from 32,826 women in the Harvard-affiliated Brigham and Women’s Hospital-based Nurses’ Health Study were examined, along with blood samples collected from 1993 to 1995 from 18,225 men in the Health Professionals Follow-Up Study. During 10 to 14 years of follow-up, 634 cases of coronary heart disease were documented and matched with controls for age, smoking, and date of blood drawing. After adjusting for age, smoking status, and other dietary and lifestyle cardiovascular risk factors, the researchers found that two different subclasses of HDL have opposite associations with the risk of CHD in apparently healthy men and women. The major HDL type, which lacks apoC-III, had the expected heart-protective association with CHD. But the small fraction (13 percent) of HDL cholesterol that has apoC-III present on its surface was paradoxically associated with a higher, not lower, risk of future CHD. Those men and women who had HDL apoC-III in the highest 20 percent of the population had a 60 percent increased risk of CHD. Be the first to comment on "HDL Cholesterol Isn’t Always Good for Your Heart"